LED lighting is basking in the residential spotlight. Results of a recent survey by the American Institute of Architects (AIA) indicate LED lighting is leading the growth in demand for both kitchen and bathroom features in American homes. The survey questioned more than 500 architecture firms that specialize in residences. “LED cabinet lighting is in especially strong demand,” according to the Decorator’s Wisdom blog. In the AIA survey, 90 percent of architects said LED lighting was gaining ground as a kitchen fixture, up from 88 percent a year earlier, while 84 percent of architects said LED lighting was picking up steam as a bathroom fixture, up from 81 percent a year earlier. Those percentages led all of the fixture categories in the survey. With AIA proclaiming that kitchens “have reinforced their position as the center of the home,” Dawn Zuber, chair of AIA’s Custom Residential Architects Network, points out that architectural lighting is a “key component” in high-quality kitchen design. Zuber, who owns Studio Z Architecture in Canton, Mich., says LED is rising in popularity as homeowners grow more energy-conscious and adapt to the federal government’s phase-out of the most inefficient types of incandescent light bulbs. “LED lighting is very efficient; it uses much less power than incandescent lighting and produces a lot less heat. 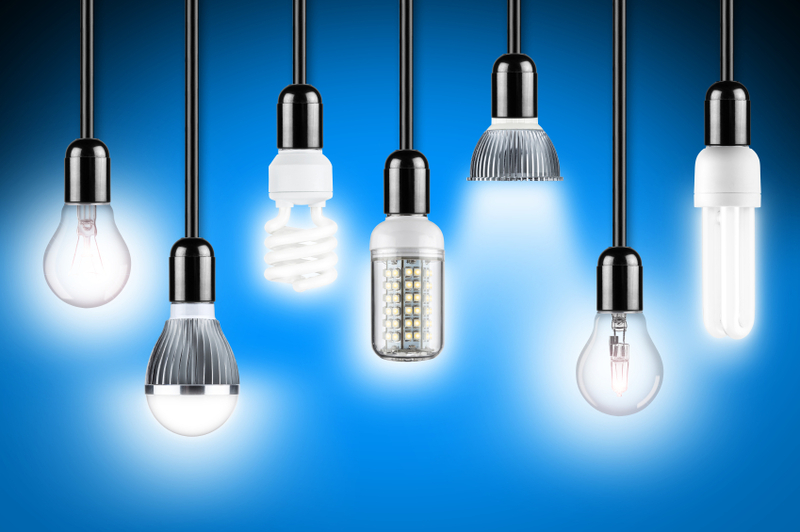 LED bulbs also last a very long time, which offsets the high initial cost,” Zuber says. A 2015 survey by lighting company Osram Sylvania found that 65 percent of Americans had purchased LED bulbs for their homes, up from 30 percent in 2013. Zuber says the color characteristics of LED lighting have improved over the past several years, with LED now mimicking incandescent lighting. The light-emitting components that make up an LED bulb are tiny, she says, so LED lighting can take many forms. For instance, LED lighting can be used in chandeliers and lamps, and on kitchen cabinets and ceilings. The Decorator’s Wisdom blog says the LED lighting trend remains in its infancy and predicts the trend “has staying power,” with LED staying relevant “well into the coming decades.” The U.S. Department of Energy predicts LED lighting will make up 84 percent of all U.S. lighting sales by 2030. John Egan is editor in chief at LawnStarter, an Austin, Texas-based company that enables people to find, schedule, pay for and manage lawn care services.